How do I manage apps in my account? Admins can manage integrated apps in Bridge accounts. In the Account Management menu , click the Account Settings link . You can enable or disable apps for your account. To enable or disable an app for your account, click the toggle button by the app’s name . 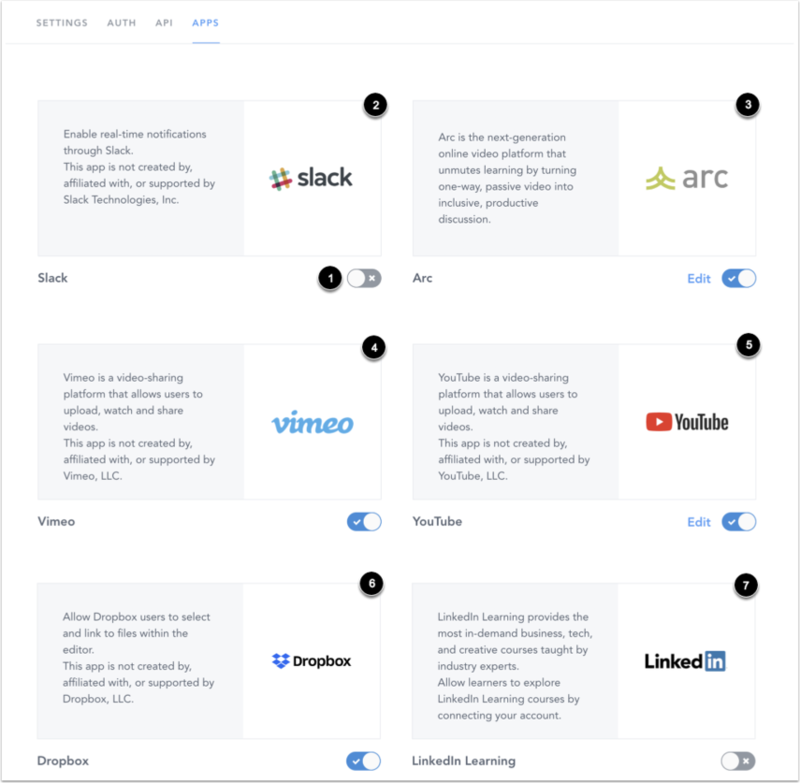 Available Bridge apps include Slack , Arc , Vimeo , YouTube , Dropbox , and LinkedIn Learning . If you need more help with setting up and configuring an app, please contact your Customer Success Manager. 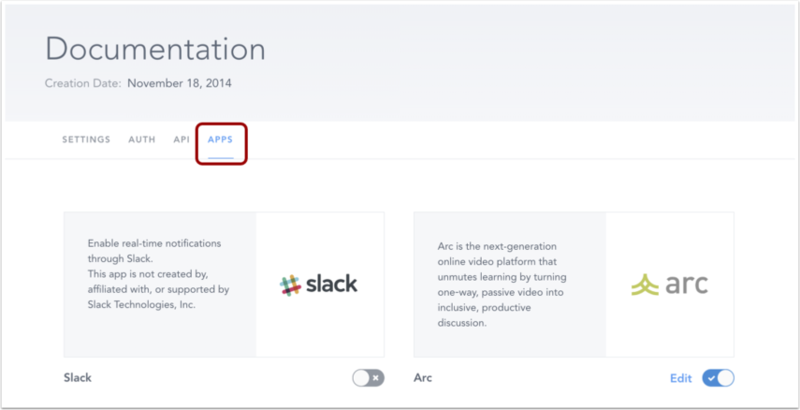 You can enable real-time notifications through Slack. After clicking the toggle button, click the Add to Slack button. If you have access to more than one Slack team, you will be shown a list of teams available for integration. Select the team you would like to use. Click the Authorize button to finish the setup process. After the setup process has been completed, members of your Slack team will start receiving notifications for various events in Bridge. 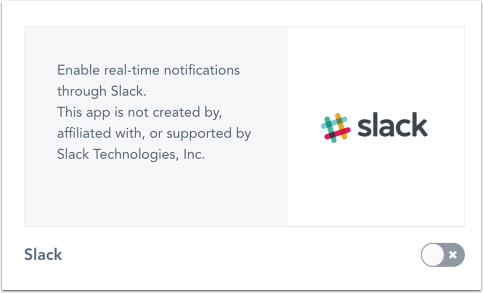 You can manage the Slack notifications on the Manage Notifications page. Listed below are the different notification messages that learners may receive and the corresponding actions that will prompt each notification. A learner replies to one of your comments. [username - with link to user in slack] replied to your comment in [course name | link to course in Bridge with comment]. Keep the discussion going! You’re enrolled in a course. Good job, you completed [course name | link to course in Bridge]. I’m proud of you. You’re added to a live training. You register for a live training session. A session you were in gets canceled. Looks like the session of [live training name | link to live training in Bridge] has been cancelled. Don’t worry, there are [other sessions | link to sessions registration page] you can register for. You miss a session and remaining sessions are available. Looks like you missed your session of [live training name]. You can register for [other sessions | link to sessions page] or let [the instructor | link to slack user] know that you should have been marked attended. You miss a session and no remaining sessions are available. Looks like you missed your session of [live training name]. There aren’t any more sessions for this course, but let [the instructor | link to slack user] know you’re interested in future sessions. You’ve been assigned a survey. You’ve been invited to participate in a survey: [survey name | link to survey]. Feedback FTW! You have a session starting in 15 minutes. The wait is over, [live training name | link to live training in Bridge] starts in 15 minutes! Your session will be held here: [location of session]. You can also [reschedule | link to sessions registration page], if you need to. 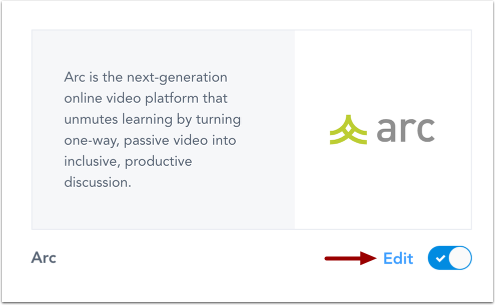 Arc is the next-generation online video platform that unmutes learning by turning one‑way, passive video into inclusive, productive discussion. 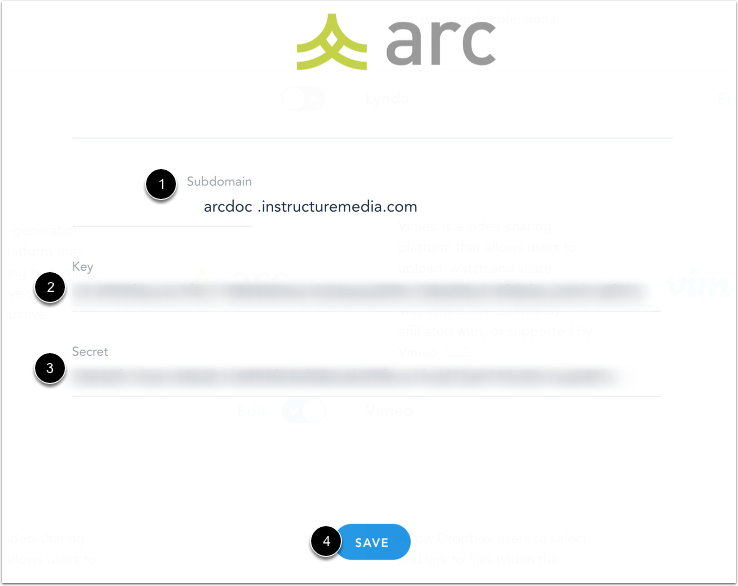 You can use Arc in the editor to add media to Bridge courses. To edit the Arc app, click the Edit link. In the subdomain field, enter your Arc subdomain account . In the Key field, enter your Arc key . In the Secret field, enter your Arc secret . Click the Save button . 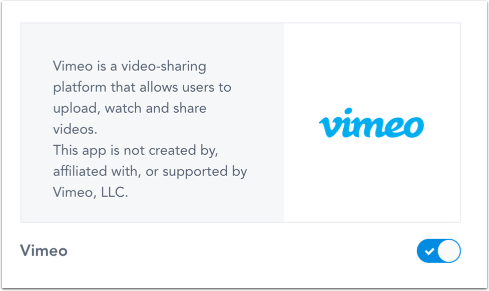 Vimeo is a video-sharing platform that allows users to upload, watch, and share videos. 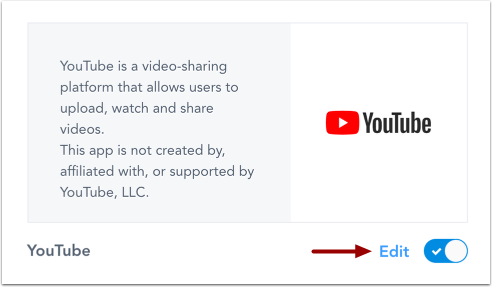 You can use Vimeo in the editor to add videos to Bridge courses. YouTube is a video-sharing platform that allows users to upload, watch, and share videos. You can use YouTube in the editor to add videos to Bridge courses. To edit the YouTube app, click the Edit link. 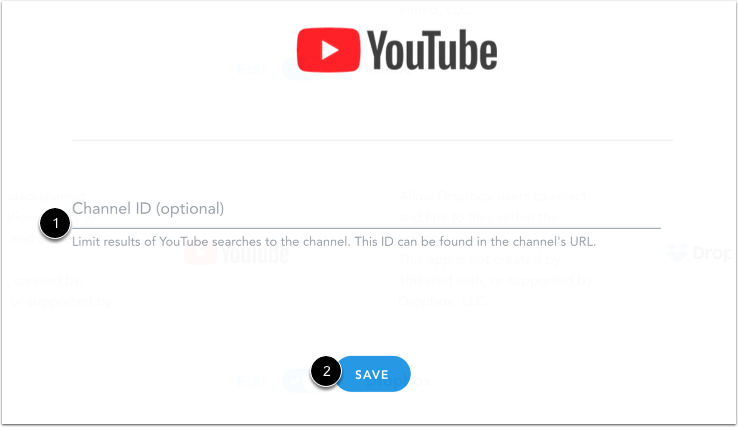 If you add a channel ID , it limits results of YouTube searches to the channel. This ID can be found in the channel’s URL. Click the Save button . Dropbox is a file storage and sharing platform. 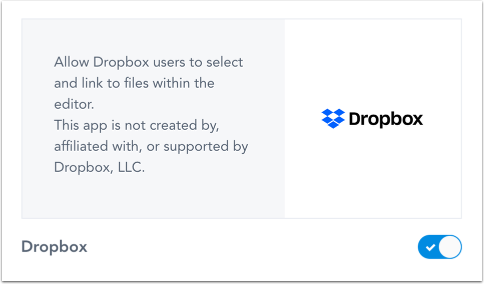 Dropbox allows users to select and link to files within the editor. You can use Dropbox in the editor to share files in Bridge courses. 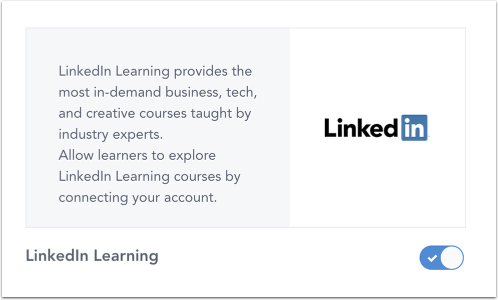 LinkedIn Learning is an online learning platform that helps users learn business, software, technology, and creative skills to achieve personal and professional goals. LinkedIn Learning can be integrated into your account's learning library. 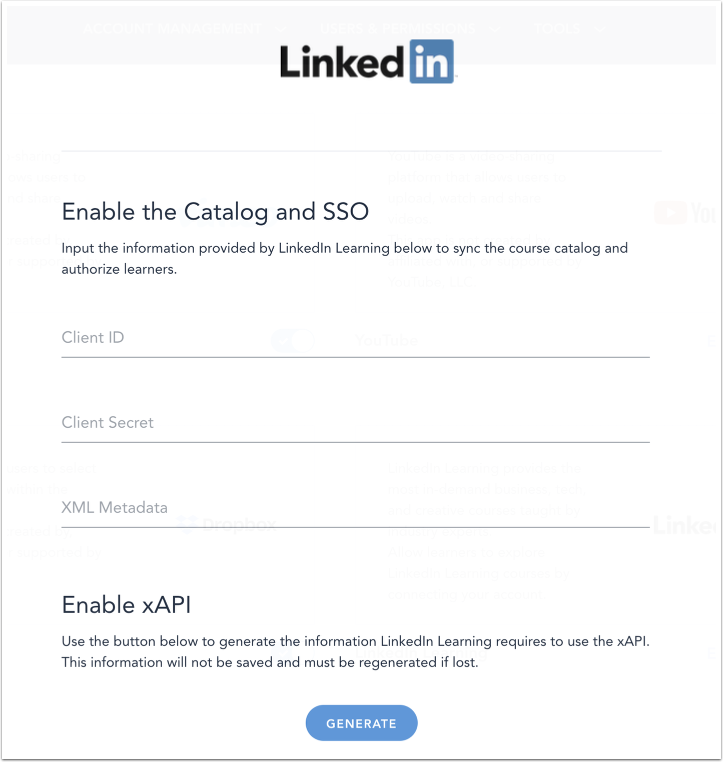 To enable the LinkedIn Learning integration in your account's learning library, you must first enable the course catalog, SSO, and xAPI. Previous Topic:How do I manage account settings in my account? Next Topic:How do I manage tags in my account? Table of Contents > Manage Account Settings > How do I manage apps in my account? Re: What other tools (in addition to Arc) are available for integration with Bridge Learn? How do I manage account settings in my account? How do I manage tags in my account?